In our modern days, we heavily rely on electricity to run our vehicle, mixer, water pumps and many more. We depend on electricity to light up our home and society. It has become one eternal part of our life. The use of electricity ranges from our home to small scale industry to large scale industry. There are various components and laws that we have to understand how electricity works. 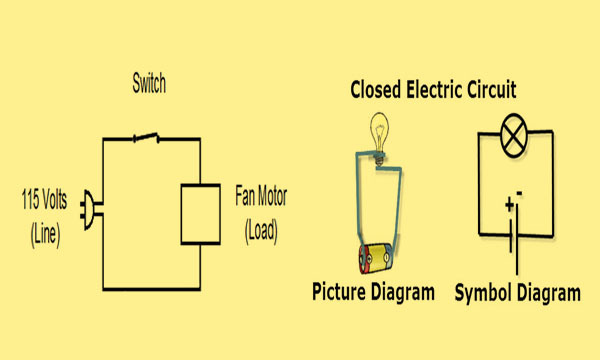 Closed Circuit: When the electricity is flowing in the circuit then that circuit is called closed circuit. For this to happen the switches if used must be on, along with the fuses if used are not broken and wire used is also not broken in any place. The path that is made of a conducting wire that carries current from negative terminal of a source to positive terminal of the source is called electric circuit. There are two types of electric circuit. They are open circuit and closed circuit. When the electricity is flowing in the circuit then that circuit is called closed circuit. When the electricity in a circuit is not flowing then that circuit is called open circuit. Define current electricity? What is the SI unit of electricity? The rate flow of charges or electrons through an electric circuit is called electricity. In other words, electric current is defined as the flow of the charge per second. The SI unit of electricity is ampere. It is denoted by letter "A". What is meant by electric circuit? 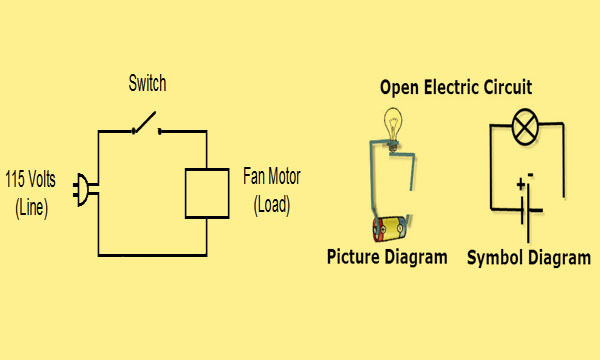 List the main components required to make an electric circuit. A source of electricity such as cell battery, generator, etc. The appliance that take and consume electrical energy such as electric bulb, fan, heater, electric motor, etc. What are the effects of current electricity? Write the names. Elecricity is produced when an elecron moves from negative terminal (place having high numbers of electron) to positive terminal (place having low number of electrons). What is the main switchbox made up of? The main switchbox is usually made up of brown black bakellite. If an electric bulb is rated as 60 W and is connected with a main line of 220 V, find the current that flows through the filament and the resistance of the filament. What is the amount of current needed for a fluorescent lamp of 40 W connected to a source of 220 V? When the electricity is flowing in the circuit then that circuit is ______. The unit of current is ______. Ammeter is connected in ______ with resistance. Which of the following statements describes the electric force between two oppositely charged particles as they approach each other? The electric force becomes repulsive. The repulsive electric force becomes attractive. The attractive electric force increases. The magnitude of the electric force decreases. Electric charges can move most easily on which of the following objects? Any Questions on 'Introduction to Electricity '?